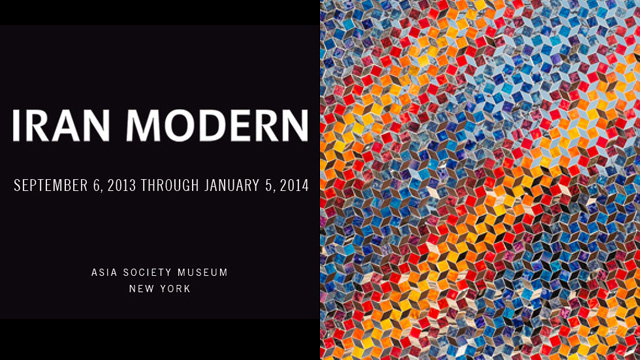 ran Modern was the first major museum exhibition mounted with loans from the United States, Europe, and the Middle East to focus on Iran’s dynamic modern art scene. The exhibition spanned the three decades prior to the 1979 Revolution – a period of great economic, political, and societal change in the country. By the mid-1970s Tehran, its capital city, had become an important cosmopolitan destination. Artists found new patronage especially from the government for exhibitions and festivals, such as the annual Shiraz Arts Festival, and the creation of new museums such as the Tehran Museum of Contemporary Art, which was actively acquiring both Iranian and international art for its collections. Just a generation ago, Iranian artists were connected to the rest of the world in a way that hasn’t been possible since the Iranian Revolution in 1979. In the 1950s, 60s and 70s, works by Iranian artists were collected and displayed both at home and abroad, and there was a strong sense of artistic collaboration between Iran and the international art world. It is this heady period of time that is covered in Iran Modern, Asia Society Museum’s first-of-its-kind exhibition that launched September 6, 2013 in New York. The exhibition was organised thematically across two floors to highlight the broad range of styles developed during this productive period. It was not a comprehensive overview but instead the works in the exhibition served as key examples of the pluralism and innovative spirit of the time. The exhibition began on the second floor by introducing artists associated with the Saqqakhaneh movement, the first culturally specific modernist group of note whose works were influenced as much by Shi’ite folk art, as by pre-Islamic art and international formal strategies. The exhibition also included sections focusing on Abstraction, Calligraphy, and Politics. 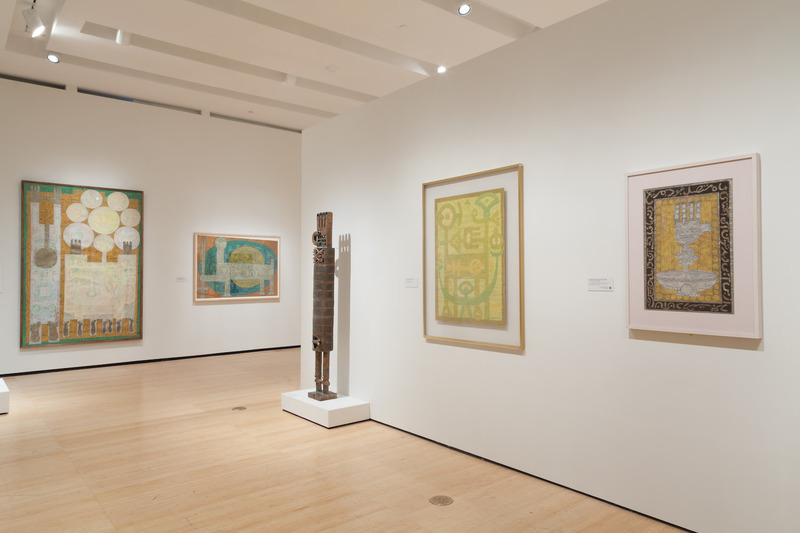 Within each section, monographic highlights allowed select artists’ work to be seen in greater depth. On the third floor, a timeline and a selection of ephemera from the period provide greater context for the works on view. 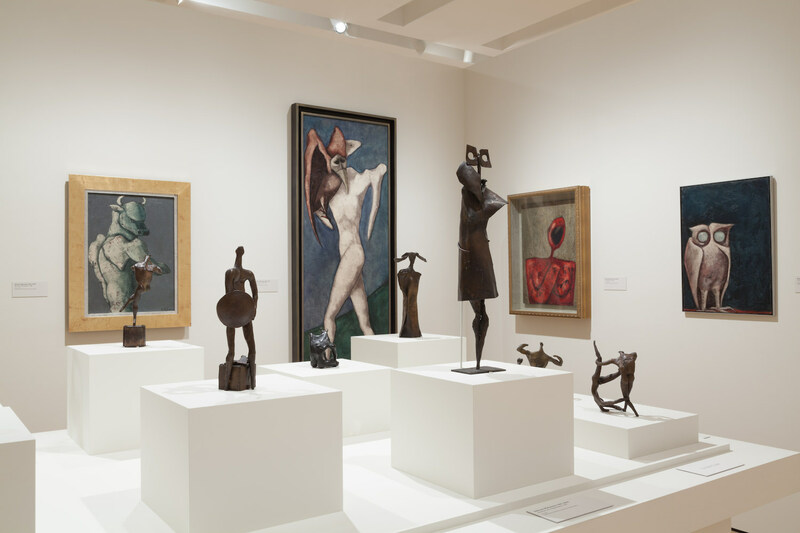 Through the presentation of over one hundred works by 26 artists, the exhibition chronicled the conversation between tradition and modernity and puts forward the idea of modernism as a globally interconnected phenomenon. Iran Modern illuminated an overlooked time of artistic creation that continues to resonate with contemporary artists working both inside and outside Iran. The exhibition was the cornerstone of three months of Iran-related programming at Asia Society New York, with related musical performances by singer, songwriter and setar player Mohsen Namjoo, as well as public lectures, panel discussions, and a film festival. The New York Times linked Iran Modern to the tentative optimism surrounding Iran’s new president, Hassan Rouhani, which left open the possibility that this exhibition served as a platform for encouraging constructive relations with Iran through the medium of art. The guest co-curators of this exhibition were Fereshteh Daftari and Layla S. Diba. Invaluable educationally … terrifically good-looking, threaded through with human drama and composed of work that is both cosmopolitan and, over all, like no other art … [as well as] the largest museum display of its kind ever mounted outside of Iran and a sharp, stimulating way to crack open the fall art season.